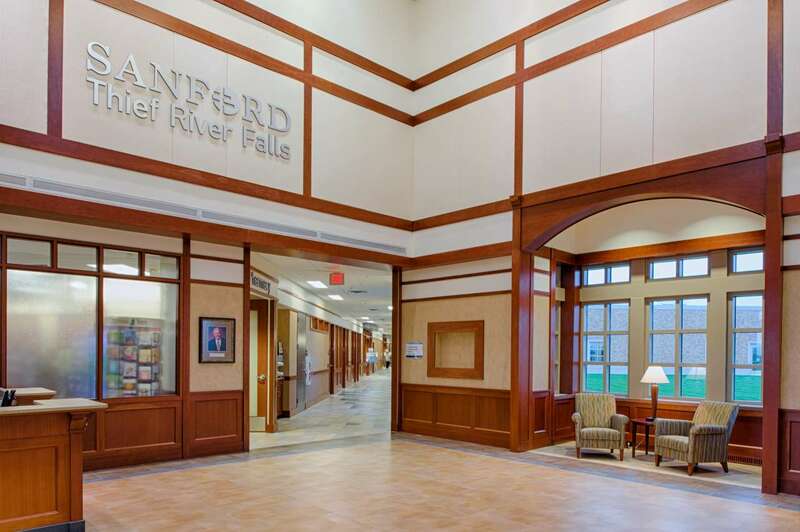 New $60 million, 136,000 square foot medical center created to expand patient access and services in rural Northern Minnesota. 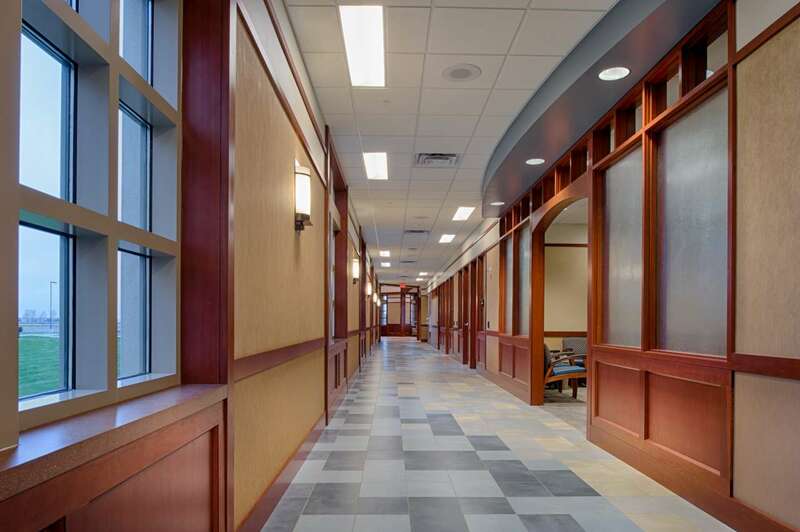 The largest construction project in the history of Thief River Falls, this state-of-the-art facility is equipped with the most advanced technology in a 25-bed critical access hospital and clinic with more than 30 specialties. 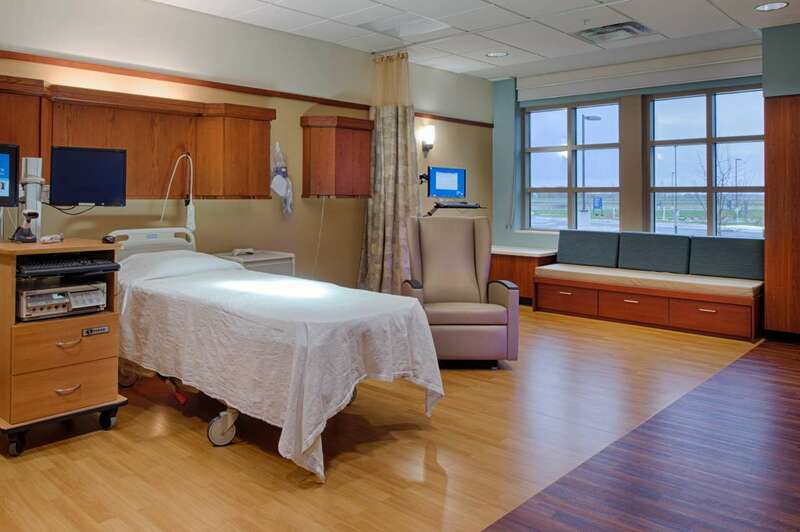 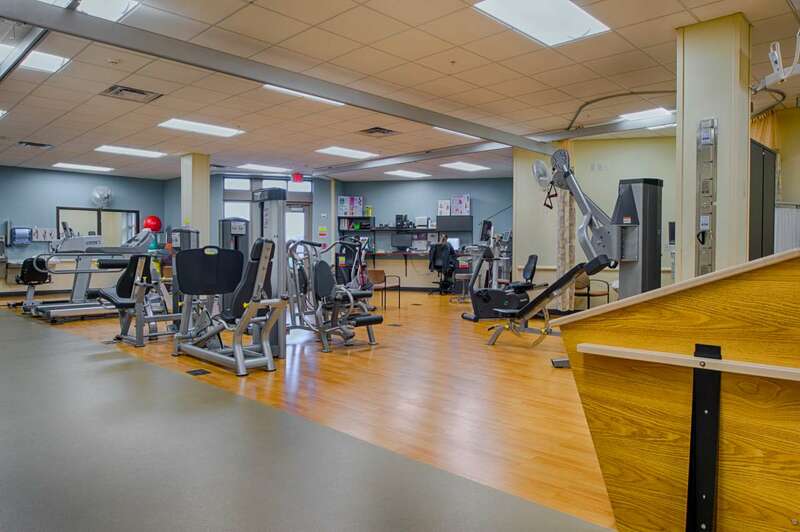 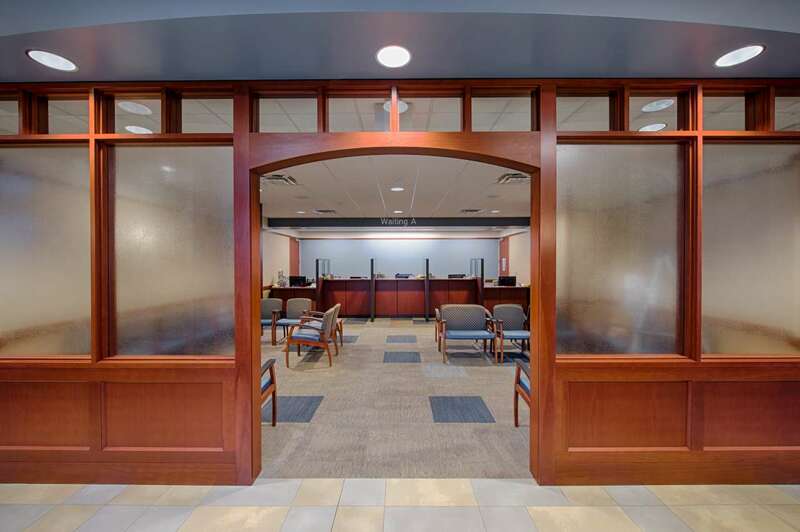 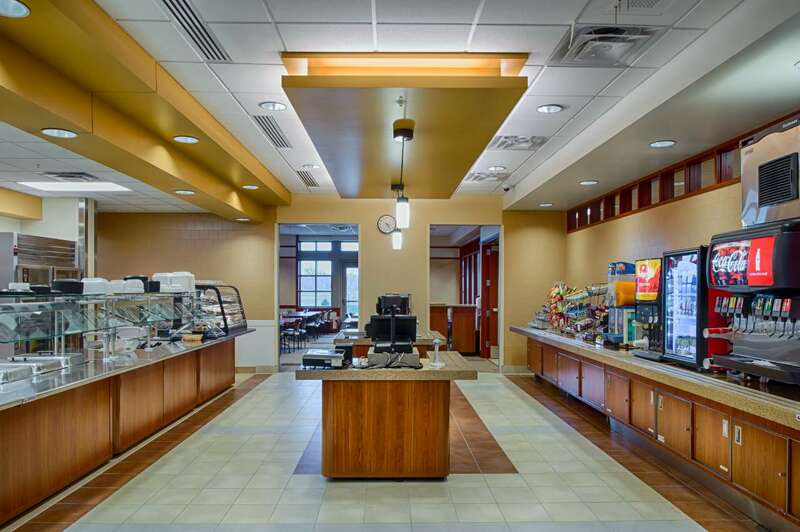 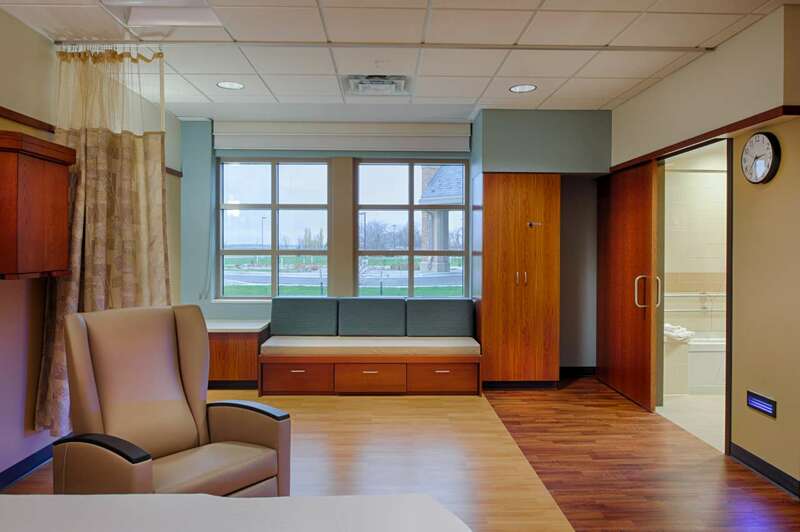 Evidence-based design centered throughout the building based on providing the best patient care. 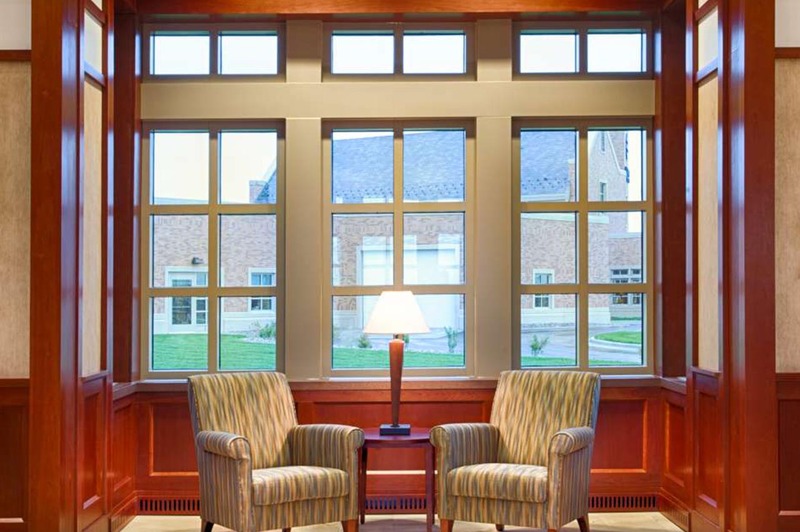 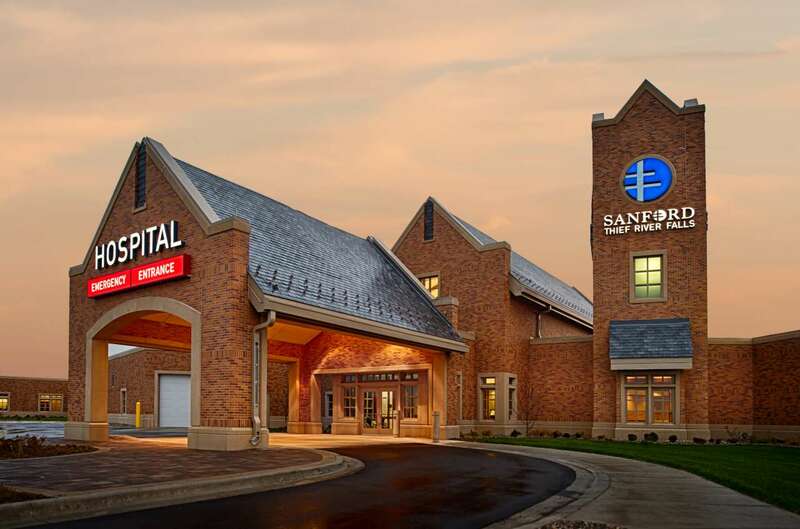 Inspired by Sanford’s classic collegiate gothic architectural style, the hospital and clinic is constructed primarily of structural steel and precast panels.